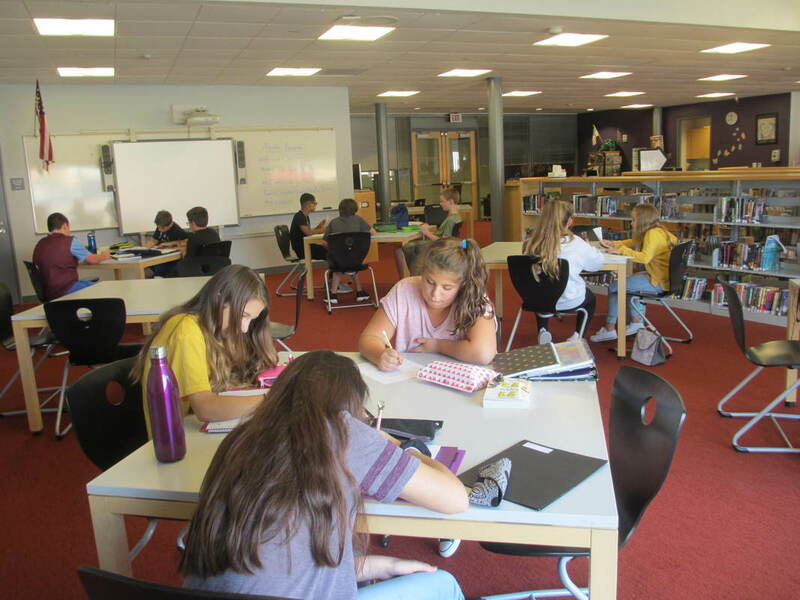 ​All 7th and 8th grade students have scheduled study halls in the library, either first or second semester. Study hall is offered at NBIS as an important component of a students' education. We hope that students will learn time-management and self-advocacy skills in using study hall to make the most of this period. The following guidelines are established so that there is a quiet, focused study time that can be used effectively for all students in all study halls. If you have any questions, please feel free to contact Ms. Molloy or Ms. McCarthy. NOTE: As a pilot program (due to student requests), listening to music will be permitted during the study hall period, providing it is not a distraction in any way to anyone. Students may put on a playlist and listen with personal headphones (i.e. : no scrolling and making new choices after each song). All listening devices must be out of sight. Only 1 warning will be given; this privilege may be revoked if abused.